Upfronts are over, and a slew of TV trailers are generating tons of views and social media vibes on YouTube. Most of the attention goes to shows on streaming giants like Netflix, Hulu, and Amazon, but there's still a lot of intriguing stuff to be found on broadcast television, which is depending on a mix of high concept original ideas and adaptations of familiar stories to hopefully draw in big viewing numbers this year. We love TV pilots, and, come September, there will be a slew of new shows to analyze, dissect, eviscerate, and celebrate. Some of these may wind up cancelled after just a few airings, but others may turn out to be destination viewing for years to come. Here are our picks for the 15 Most Anticipated TV Pilots Of The 2016-2017 Season. The Good Place is the latest sitcom from Mike Schur, former writer for the American version of The Office, and one of the comedic minds behind Parks & Recreation and Brooklyn Nine-Nine. Kristen Bell stars as Eleanor, a young woman who is tragically (though comically) killed and winds up in heaven, referred to as "The Good Place." The only problem is she's only there as a result of a technicality, as she shares a name with a saintly person and accidentally took her spot. Ted Danson co-stars as one of the bureaucratic leaders of The Good Place, and Eleanor will have to keep her secret hidden from him while figuring out what to do with her (after)life. The Good Place is a world where nobody gets hungover, swear words are magically censored, and everything is just irritatingly perfect. Basically, it's a sitcom wonderland, and we're looking forward to seeing Kristen Bell impatiently bouncing off the walls of paradise. 24 is a proven formula for unmatched tension and high-stakes action. This new, 12-part miniseries (in the vein of series revival Live Another Day) has an all new cast of characters played by such prestigious actors as Jimmy Smits (NYPD Blue, Star Wars) and Miranda Otto (Homeland, Lord of the Rings). This time around, instead of dogged rogue agent Jack Bauer, the new lead figure is Eric Carter, played by Corey Hawkins (Dr. Dre in Straight Outta Compton), an Army Ranger who is marked for death by a terrorist planning an attack on Los Angeles. We're a bit skeptical about the prospect of 24 without star Kiefer Sutherland -- or any of the original cast -- but based on the trailer, the new show still firmly carries the aesthetics of the original while bringing something new to the table. It remains to be seen if Legacy can thrive without Jack Bauer in a leading role, but since the show is a spin-off and not a reboot, and Kiefer is remaining on board as a producer, the door is still open for some classic characters to possibly return, eventually... Maybe. This season is going to have some really weird shows, but perhaps none are more overtly strange than FOX's Son of Zorn. Jason Sudeikis provides the voice of the Conan-esque warrior, who is entirely animated in the style of muscle-bound cartoon heroes like He-Man. The true absurdity kicks in when Zorn returns to Earth to connect with his son (Johnny Pemberton) and make peace with his ex-wife (Cheryl Hines) by getting a menial job and trying to fit into the normal world. Silly hijinks ensue, with a touch of family drama, which is bound to be comically subverted at every turn. The trailer seems like it's a pretty typical screwball fish-out-of-water comedy, but the show's unique visual flair, which wouldn't feel out of place on Adult Swim, gives it an edge. In addition, the producing team of Phil Lord and Chris Miller (Last Man on Earth) make their first of two appearances on this list, serving as executive producers on the show. Like Son of Zorn, Imaginary Mary features an animated character, though the similarities end there. Jenna Elfman, rocking a seriously great hairdo, stars as Alice, a successful, self-made woman. After she starts dating a single father of three, Alice suddenly is visited by her childhood imaginary friend, Mary, an entirely CGI character who is voiced by the lovely and talented Rachel Dratch. The trailer often errs on the side of heartwarming and whimsical rather than hilarious, but we think that Imaginary Mary could make for quality family viewing, especially if the show retains the adorably wholesome tone of the trailer. The show is co-created by Adam F. Goldberg, creator of The Goldbergs, so when the show makes its premiere in early 2017, we can infer that it may be paired with that series. With shows like Modern Family, Black-ish and Fresh Off The Boat, ABC is becoming a veritable powerhouse for family-friendly sitcoms. Time will tell if Imaginary Mary will add to that reputation, or if it will add to Jenna Elfman's long list of comedies which were cancelled after only one season. 1600 Penn, Accidentally on Purpose, and Growing Up Fischer, anyone? Don't get us wrong, she's a wonderfully talented actress; she's just had a ridiculously long streak of bad luck. The first of several time-travel pilots on this list, Timeless looks to take the formula of The Blacklist (from the same producers) and apply its brand of serious storytelling and arguably tongue-in-cheek melodrama to the science fiction time travel genre. Goran Visnjic stars as a criminal who steals a time machine and travels back to World War II to change history and America's standing as the world's dominant superpower. A ragtag team is sent to apprehend him, and it's the chemistry between these three actors which will ultimately decide the fate of the show. Based on the trailer, the three characters seem to have totally disparate personalities, which could lead to some magnificent Firefly-esque banter -- or an uncomfortably inescapable dissonance that lingers throughout. The Blacklist has the always-magnetic James Spader to lead the show through its tonal shifts; we'll just have to wait and see if the stars of Timeless possess the same gravitas as Ultron himself, but we want to believe, and that trailer truly looks like a whole lot of fun. 2001's Training Day was a seminal cop drama from writer David Ayer (Fury, End of Watch, Suicide Squad) and director Antoine Fuqua (The Equalizer, Southpaw, The Magnificent Seven) was a huge success, earning star Denzel Washington an Academy Award for Best Actor (and Ethan Hawke a nomination for Best Supporting Actor). When the TV version of Training Day was announced, it was actually supposed to be a continuation of the original story, with Ethan Hawke reprising his role from the movie and Antoine Fuqua returning to direct the pilot. Unfortunately, both figures eventually dropped out due to scheduling conflicts, and it remains uncertain as to whether the series will remain canonically tied to the film. Either way, the prospect of Bill Paxton as a crooked cop taking a new recruit under his wing is enough for us to be willing to give Training Day a shot. We just hope that CBS is willing to invest in giving the show the production values it deserves; the mercifully-cancelled Rush Hour suffered from looking like an extremely cheap knock-off of its big-screen counterpart. 1973's The Exorcist is considered sacred and untouchable by many horror fans, but we're frankly surprised that it's taken this long for a television adaptation to reach airwaves. Regardless of the obvious apprehensions about adapting one of the greatest horror films of all time, we're confident that FOX is the right network for the show, as they've shown how willing they are to get disturbingly violent with shows like The Following and the often surprisingly morbid Gotham. While we were on the fence regarding The Exorcist, the trailer is full of enough provocative imagery and strong acting for us to at least give the show a chance. We were stunned by the appearance of the great Geena Davis (channeling her inner Jessica Lange) as the matriarch whose daughter gets possessed. Fresh off of her stint on Grey's Anatomy, we're ready to see Davis return to a leading role. We're also intrigued by Sense8's Alfonso Herrera, who plays the hunkiest priest ever to vanquish a demon. The power of Cross Fit compels you! Before he rescued Star Trek with one of the greatest movies of all time, The Wrath of Khan, director Nicholas Meyer helmed Time After Time, based on the novel by Karl Alexander. The premise is great, and just ripe for the episodic treatment; Jack the Ripper is discovered, but flees authorities by stealing H.G. Wells's time machine and moving to the 20th century. Wells follows and what ensues is a dangerous cat-and-mouse thriller where nobody is safe. The original film had the star power of Malcolm McDowell and David Warner as Wells and the Ripper, respectively. This new show casts Freedie Stroma and Josh Bowman in the roles; while way less recognizable than their predecessors, the trailer for the series does a good job of defining their personalities and setting up the chase and the stakes. Our only fear right now is that the show might fall into a rut with only one villain. Perhaps the series, should it succeed past an initial half-season, will adopt an episodic approach in an effort to keep Jack the Ripper from getting stale. Vanessa Helsing is a descendant of the original vampire hunter in this post-apocalyptic reboot of the timeless vampires-versus-humans story. The SyFy network has long been in need of a hit, and if Van Helsing can steer clear of the usual tropes of the genre while imbuing the show with the essence of generations worth of vampire mythology, they could have a quality product on their hands. The character of Abraham Van Helsing was first introduced way back in the original 1897 Dracula novel, and has since been played, in various incarnations, by actors as diverse and talented as Peter Cushing, Hugh Jackman, David Warner, and Anthony Hopkins. 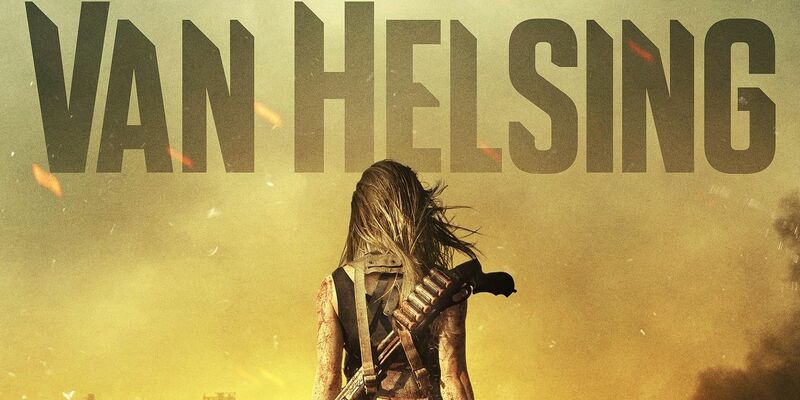 Kelly Overton (Legends, True Blood) has been tapped to play Vanessa Helsing in this new show, set to premiere in the fall, but it remains to be seen what, if anything, the actor will add to the legacy of Van Helsing in film and television. If nothing else, Designated Survivor succeeds at making Keifer Sutherland look like a sheepish everyman, a far cry from the tough-as-nails counter-terror agent he played on 24. In this show, Keifer plays the titular designated survivor, a real procedure in the US government in which a member of the cabinet is kept off-site during the State of the Union Address. In this show, a terrorist attack kills practically everybody in the government, and one man has to step up and lead the country because nobody else can. As Secretary of Housing and Urban Development, Keifer's character, Tom Kirkman, is suddenly thrust into the free world's highest office, a position for which he is unprepared and arguably unqualified. He's basically a normal guy who has to be President. Meanwhile, Maggie Q plays an FBI agent tasked with uncovering the truth behind the terror attack, which just may be the tip of the iceberg in a campaign against the United States. White House programs have a mixed history, and it remains to be seen if Designated Survivor will be able to captivate viewers like a more white-knuckle version of The West Wing, or if it will be cancelled after one season like Commander in Chief, which, coincidentally, co-starred Donald Sutherland, father of Kiefer. Every AMC Original Series is an event, and while some (The Walking Dead, Hell on Wheels) fare better than others (Rubicon, Low Winter Sun), we're always on board to sample their wares. AMC's next show, set to air in 2017, is The Son, starring Pierce Brosnan as a Texas oil tycoon born on December 29th, 1845, the day of Texas's formal adoption of statehood. The ten-part series promises to be an odyssey through American history and a raw take on the myth of the American Dream and the dynasties that shaped the country, but particularly Texas. Sam Neil (Jurassic Park) was set to star in the show, but was forced to drop out due to personal reasons, and was replaced by Pierce Brosnan. Is it just us, or could Neil and Brosnan totally play brothers in a movie? Maybe Jurassic Park 5, or a revival of Remington Steele... Just a thought. Lethal Weapon is one of the most legendary and iconic buddy-cop action/comedy/drama series of all time, so the hype, skepticism, and anticipation for the TV version are through the roof. 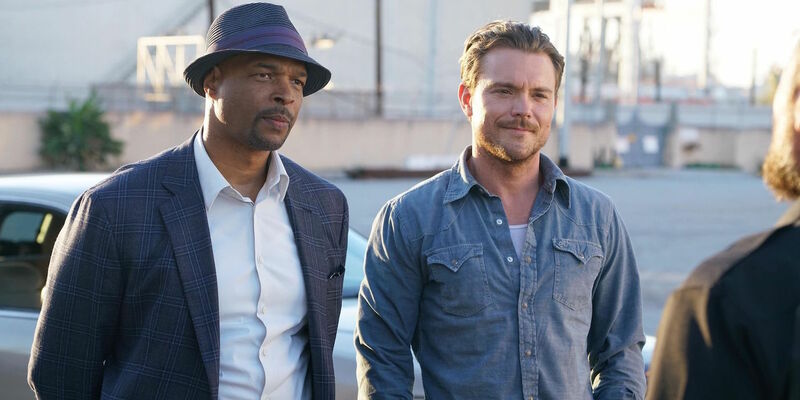 While we know that it's impossible to replace Mel Gibson and Danny Glover as Riggs and Murtaugh, we're looking forward to seeing Damon Wayans stretch his dramatic chops as a more spry and light-hearted version of the grizzled Murtaugh, as well as Clayne Crawford putting a southern-fried spin on the tortured Riggs. 1987's Lethal Weapon had an almost scientifically-balanced mix of comedy, drama, and procedural action that set itself apart from its contemporaries, as well as its own sequels. It's a mix which, now that we think of it, could lend itself strongly to the television format. Combined with a strong cast (which also includes Jordana Brewster and Keesha Sharp) and a fun trailer, we're willing to express confidence that Lethal Weapon could be the breakout procedural of the year. 2000's Frequency is a tight sci-fi thriller which was a moderate hit at the box office, but failed to generate much of a cult following in the years since its release. One can imagine our surprise when we learned that Jeremy Carver (Supernatural, Being Human), was creating a television version of the film. After NBC initially passed on the project, The CW network stepped in and picked it up. Peyton List (Mad Men, The Tomorrow People) stars as a detective who is able to communicate with her father, a detective who was murdered twenty years ago, using a ham radio that communicates across time. After saving his life, however, she finds that her meddling has completely altered the timeline, and she and her father must team up, twenty years apart, and stop a serial killer. The trailer for the show appears to follow the original movie very closely, though we are confident that the show will offer unique twists and turns for followers of the film. The CW is on a roll right now, between its Arrowverse shows, long-running cult series like Supernatural and The Vampire Diaries, and recent critical darlings like iZombie and the excellent Crazy Ex-Girlfriend. Whatever they're doing, they're doing it right, and we're willing to follow the network wherever they want to take us. This high-concept mid-season sitcom stars the always-awesome Adam Pally (Happy Endings, The Mindy Project) as Dan, a computer science professor who uses a time machine to travel to colonial America... Where he accidentally prevents the American Revolution from taking place. Dan has a girlfriend, played by Gossip Girl's Leighton Meester, who turns out to be the daughter of none other than Paul Revere, who is too worked up about the chastity of his offspring to worry about those pesky redcoats. Dan must then recruit his friend, history professor Chris, played by Yassir Lester, to help restore the timeline. It's a prime time comedy with the premise of a 1990s Saturday Morning Cartoon, and we are completely on board. Created by Julus Sharpe (Family Guy) and produced by Chris Lord and Phil Miller (21 Jump Street, The Lego Movie) as part of their long-term deal with Fox, we have exceptionally high hopes for Making History, based on its adorable cast and downright hilarious trailer. For our top pick, we may be bending the rules ever so slightly, or at least taking advantage of a convenient loophole; while the new Star Trek series will be exclusive to CBS's premium streaming service, the pilot will air first on CBS in January 2017. Star Trek is one of television's most enduring and beloved staples, and it's been over a decade since new episodes have aired, after an uninterrupted 18-year streak. Interestingly, airing in 2017 means that the show will just barely miss Star Trek's 50 year anniversary, but we'd rather the show be ready for prime time than meet some arbitrary deadline. We still know so very little about the new series, other than that Bryan Fuller (Voyager and Deep Space Nine) will be in charge of the day-to-day production. Still, the very prospect of brand new episodes of Star Trek on television is more than enough to earn the latest revival the top spot on this list. So, what shows are you excited for? Will you watch live, on DVR, or will you wait for the shows to turn up on one of the streaming services? Sound off in the comments section!